The Town of Windsor Colorado is a fast growing, one of a kind community, located in the middle of the Central Northern Colorado Tri-Cities (Ft. Collins, Loveland and Greeley) high growth area. Homes and condos in the Windsor area are beginning to sell well and it is returning to a more robust real estate market. Of central importance to Windsor, Colorado's future is the 1,500 acre Water Valley property that is held up as an example by the State of Colorado as to how best manage a relationship between real estate development and the natural environment. Water Valley has made a priority of preserving a Riparian Corridor that runs through it - this term refers to the banks or ground adjacent to a naturally occurring body of water - in this case the Poudre River. 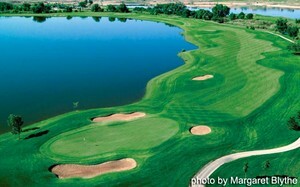 If you love golf, water sports, bicycling, triathlons and the outdoors, this is the place for you. In addition, it is just a short hop from Rocky Mountain National Park and DIA. All the amenities you, as a homeowner, could possibly want are available along the Front Range of Denver and Northern Colorado. Recently new industry has been flocking to the Windsor area. The latest is Halliburton which has indicated it is bringing 500 jobs to the Windsor area to man a huge facility it is building on the old Kodak plant site. Keep an eye on the real estate trends in the area here! Click on graph above for an interactive dive into the Windsor real estate market. Plus you can create a custom market report for yourself! Let us help you find a great home or condo so you can begin to enjoy living in a wonderful Northern Colorado City. There are a great many other fantastic cities in the area. If you are interested in Fort Collins, Loveland or any other northern Colorado cities, please give me a call at 970-412-1657. Make sure to also check out our post on the Windsor Harvest Festival here.